You love being a veterinarian. However, like most people, you look forward to the day that you can retire. Maybe you want to travel or pursue a new hobby. Perhaps you are just excited to spend more time with your spouse and family. Whatever your retirement plans, you will need funds to pursue them. For this reason, retirement planning is essential, especially for veterinarians who own their own practices. 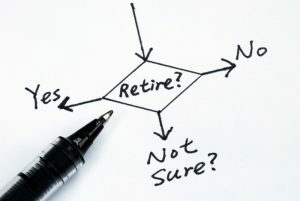 At Reliance Consulting, LLC, we understand that the retirement planning process can be daunting. We are here to answer your questions and help you develop a stable plan. With our assistance, you can enjoy a financially sound future, filled with plenty of activities and time for the people you love. Contact us today to begin planning for your retirement. Whenever you undertake a major life change, it is important to think ahead. When you got married, you planned the wedding. When you opened your practice, you created a business plan. In the same way, it is important to lay a groundwork for your retirement. Creating a plan will ensure that you can retire right on schedule. It will also take the stress out of retirement, allowing you to cover unexpected medical bills and other expenses. As a small business owner, retirement planning is even more crucial. It is up to you to secure your own retirement. You may also have to choose a pension plan that will benefit your employees and their families. It is never too early to begin planning for retirement. In fact, the earlier you begin, the better. To ensure a financial security, you should begin saving in your 20’s. Even a few hundred dollars a month can help you create a sizeable nest egg several decades down the road. In addition, when you plan ahead, you can take advantage of certain tax benefits. Though retirement planning is important at all ages, it is essential when you open up your own practice. When you hire employees, you will need to choose benefit and retirement packages that will affect you and your entire team. SIMPLE IRA (Savings Incentive Match Plan for Employees). As you can see, planning for retirement requires detailed knowledge of tax law and a major time investment. When you work with an experienced accountant, you will be assured of a solid retirement plan that meets your needs. For years, the accountants at Reliance Consulting, LLC have been helping small business owners and health care professionals plan for retirement. We are familiar with the specific needs of veterinarians, and we can also help you establish a plan that will benefit your employees. After you develop your retirement plan, we will provide ongoing guidance. We will answer questions about taxes, and we can help you modify your plan as needed. Create foundation for a stress-free retirement. Contact us today to schedule a. Our firm is located in Tampa. We proudly serve clients from the surrounding areas, including St. Petersburg, Clearwater, Sarasota, Pasco, Lakeland, and the greater Tampa Bay region.